When I was little, my Mom went through a Kahlua phase that joyfully caused her to have ice cream in the freezer for like a month straight. Having any sort of sweets on hand was literally unheard of in our house, but when she discovered this coffee liqueur and how good it tasted on ice cream, she stocked up! To our further delight, Mom let us have it with her! That is until Dad found out and told us that our Kahlua and ice cream days were over. Mom seemed stunned at his outrage, as if she hadn’t realized that giving alcohol to children 9 and under might be folly. I was majorly bummed at the time, but appreciate Dad’s intervention now. With my addictive nature (have I mentioned my sweet teeth? ), I hate to think of what my teen years might have been like with an unlimited supply of delicious Kahlua! Although I don’t drink, I do love to bake with alcohol because it’s excellent for highlighting and intensifying flavor. Because of my early exposure to Kahlua, it is my favorite liqueur and the one I use most often in baking. 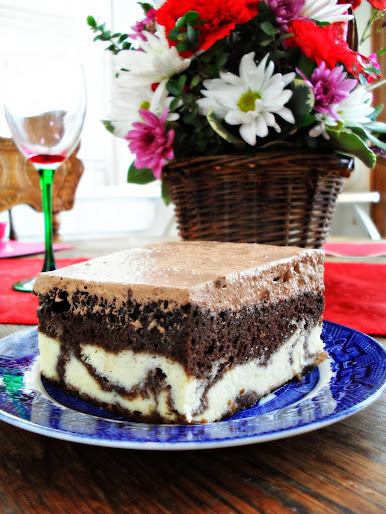 I go through a large bottle of it every year, using it in Mocha-Frosted Kahlua Brownies and THE Mocha Crunch Cake exclusively. Seriously, I make those two things so much that I need that much Kahlua just for them! 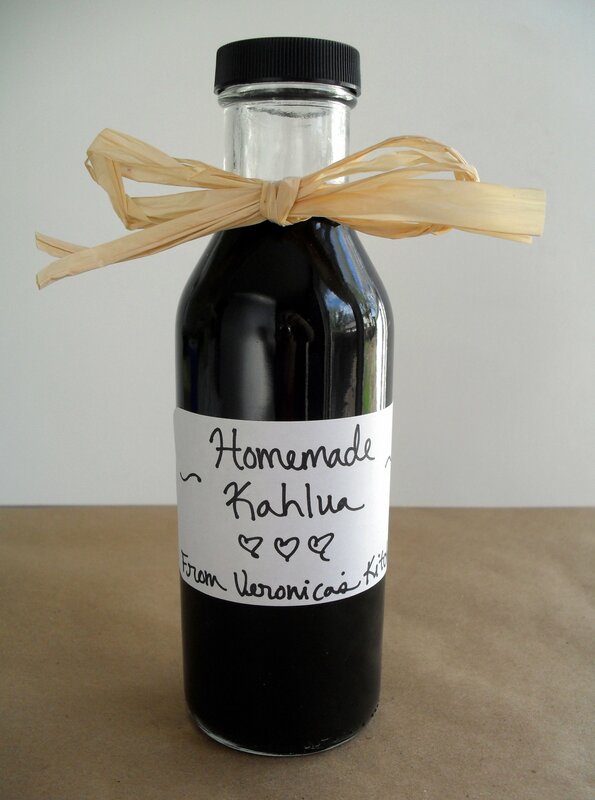 Unless you live in Mexico, Kahlua doesn’t come cheap, so I was thrilled when my friend, Suzie, shared her recipe for homemade Kahlua with me. It never even occurred to me that it was something you could make at home, or I could have saved hundreds of dollars by now! It is so much cheaper to make it yourself, and just as delicious. You can use it in any recipe that calls for Kahlua with good results. Place coffee in large glass bowl. Pour water over and stir. Add sugars and stir until most of the heat has dissipated. The sugar won’t be completely dissolved but that is OK. Stir in the vodka, Buttershots, and vanilla or vanilla bean. Cover with plastic wrap and let sit at room temperature for about two weeks. Stir every day or every couple of days. Remove vanilla bean, if used, and ladle into bottles using a funnel. Keeps in refrigerator for about 6-8 months. Posted in Beverages, Condiments & ETC. and tagged cheap, coffee liqueur, homemade kahlua, recipe. Bookmark the permalink. Been making this for years but slightly differently. Use three cups white sugar. No brown. 1 cup instant coffee 2 1/2 cups boiling water. 1 tsp vanilla,and 2 1/3 cups rum. Mocconna coffee tastes best.Richer flavour. Stir it in the boiling water till sugar dissolved then add rum and vanilla/ Bottle straight away. But then had to wait 3 weeks to use it. Also have a good Baileys recipe but doubt that one is cheaper to make. Definitely going to try thIs and would also love to make Baileys – would you be able to share that recipe? My father-in-law gave me a recipe that called for a fifth of vodka and a pint of brandy! Your story is so funny. I must give this a try.